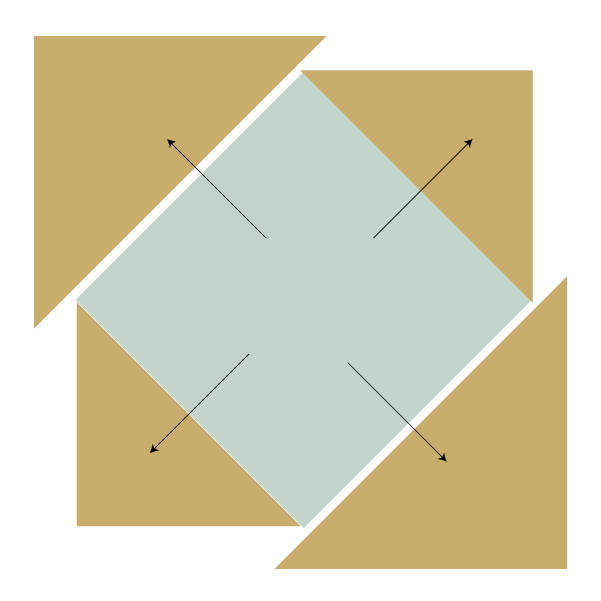 With right sides together, align one marked smaller square with one edge of the large base square and another in the opposite corner of the base square as shown in Figure 2. Stitch one thread width to the outside of the diagonal lines. Cut 1/4″ outside the stitching lines as shown in Figure 3. Flip the triangles open and press the seam allowance toward the triangle. (The exploded image at the top of this page shows arrows indicating which direction you should press. Repeat steps 2 and 3 for the other corners of your base square to complete the unit. If you don't see your finished size block in the chart below, here is the formula for how to determine the size pieces you need. Add 1/2" to the finished size. Divide the finished size of your block in half. 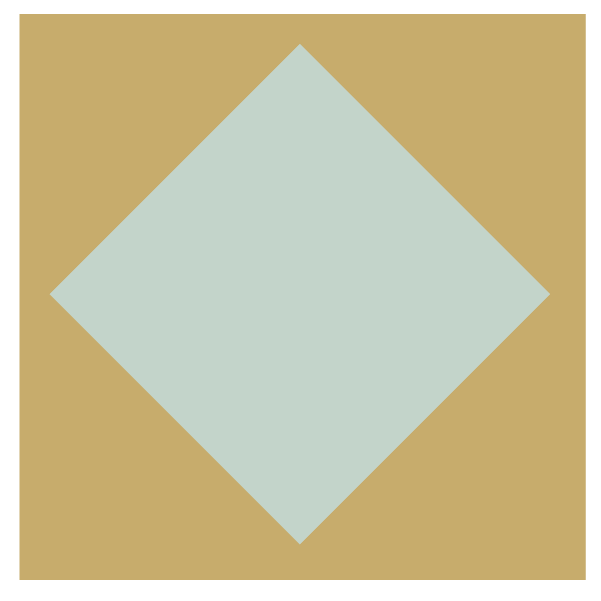 Add 1/2" to that to determine the size of your small squares.